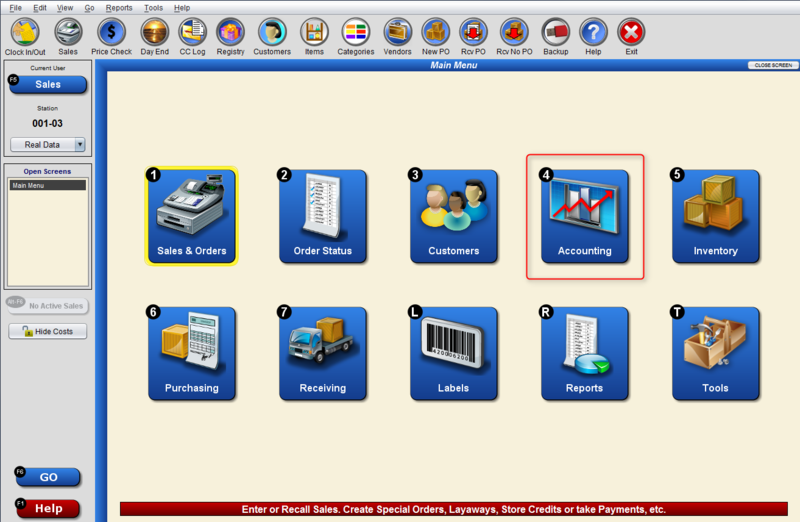 The first step in exporting your data to Management One is the Accounting (4) function through the Go(F6) menu. 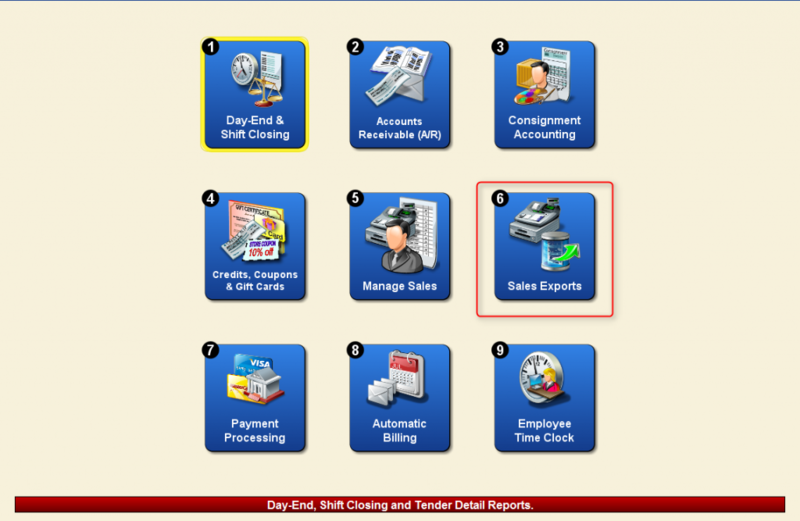 Once you’re in the Accounting menu, the Sales Exports(6) function will bring up an additional menu with the option to export to Management One. 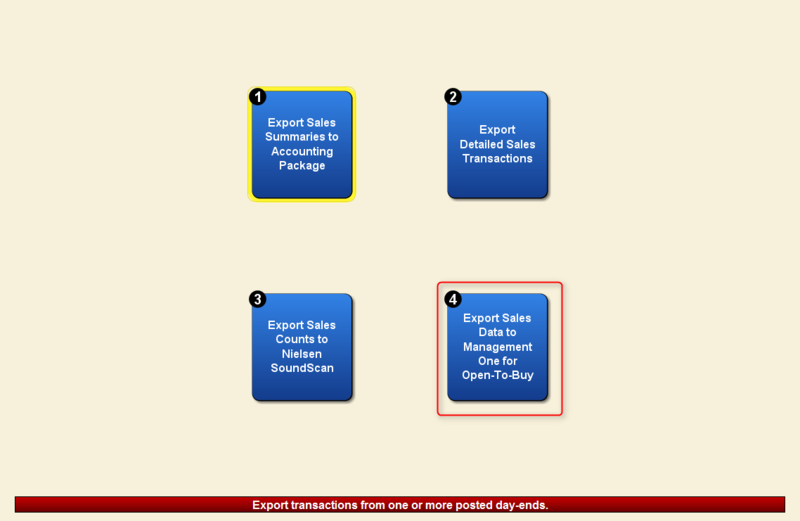 Export Sales Data to Management One for Open-To-Buy(4) will bring up the export options for this function within Artisan. 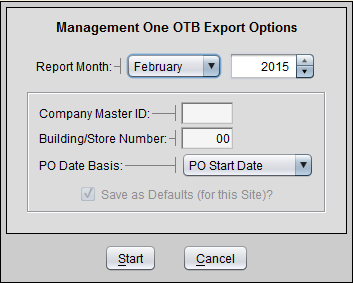 From this option popup, select the Report Month to export, as well as enter in any other additional necessary data – Company Master ID, Building/Store Number & PO Date Basis. You can also save these settings as defaults, to remember them and make this process faster in the future. The exported file will be a .txt file that can be placed in a file or location of your choosing, as well as easy to upload direct to Management One through your dedicated portal.